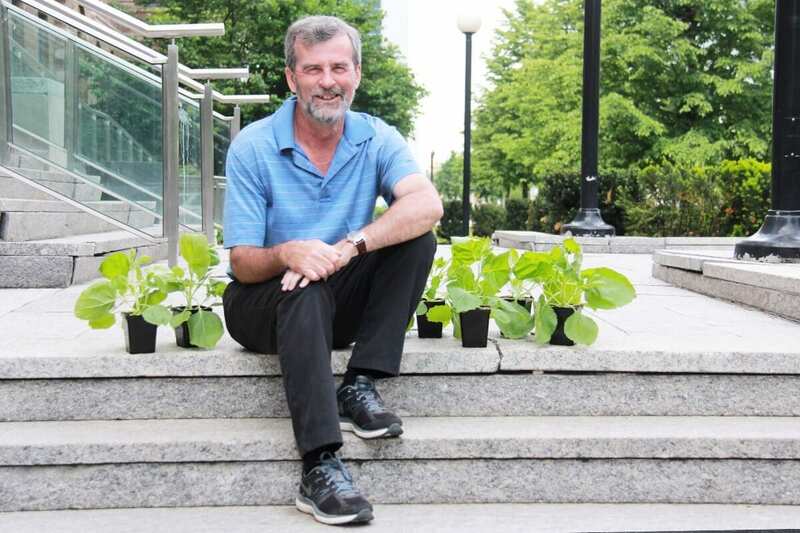 The biotech industry is a long game, but Don Stewart is confident that his plays will pay off. 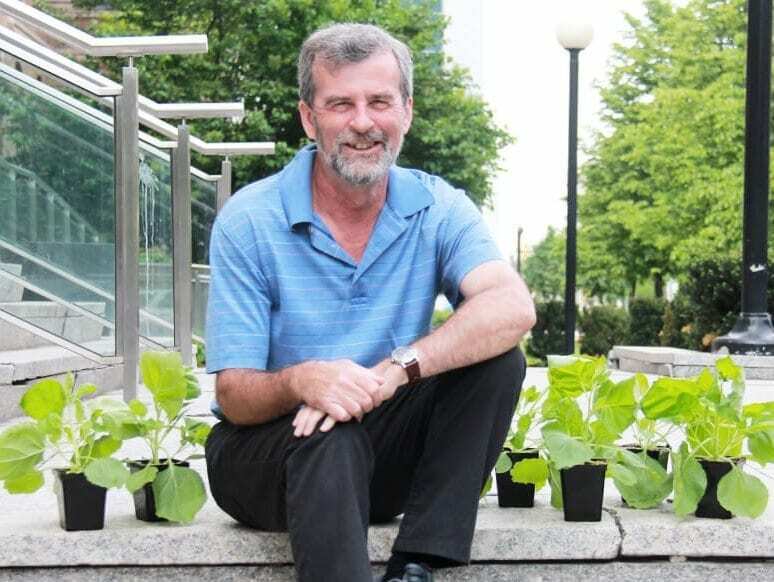 After graduating with a PhD in biochemistry from the University of London, Don came to Canada as a post-doctoral fellow. Continuing along the path of academia, he was poised to take a faculty position at a university. That’s when his path diverged. Over 20 years later, he’s still in the industry as the president and CEO of PlantForm Corporation. PlantForm uses genetically modified tobacco plants to grow biopharmaceuticals in fully contained greenhouse environments. Developed at the University of Guelph, its proprietary manufacturing platform is able to produce a wide range of antibodies, therapeutic proteins and vaccines for the treatment of cancer, HIV/AIDS, the Ebola virus and other life-threatening illnesses. This is how it works: The plants are grown indoors for six weeks and introduced the gene that makes the drug product through agrobacterium. Over a week, the agrobacterium fools the plant into creating the drug. The plants are then cut up, liquefied and purified. Compared to other systems for biologic drug production, plant-based systems have a more rapid drug development and production timeline, unlimited scale-up capability and manufacturing costs at up to 90 per cent less than traditional methods. “It’s going to make drugs available to many more people than they’re accessible to at the moment. It’ll also reduce the cost of healthcare systems and we think that’s really important,” he says. Currently, the company is working on a project with the Canadian government to make an antidote for exposure to ricin, a chemical compound that can be used as a biological weapon. They also have a partnership with the US military to develop treatment for a strain of Ebola called “Sudan.” Last month, the company and their joint venture, Axis Biotec Brasil, were awarded a grant of $1 million to bring the technology to Brazil. Despite the long process, Don is optimistic the company is in a good position to move ahead in the industry. “You’re not just developing a drug. You have to bring it through a clinical trial process, make partnerships and have business acumen. We have all those pieces, which I think has brought us to a pretty unique situation,” he says. But this situation is not without challenges, the biggest of which is raising money. The company has secured $60 million in financing, and Don says they’ve gotten to this point because of persistence and the potential payoff. He projects PlantForm’s revenue to reach more than $150 million by 2019. In the next five years, he also hopes to expand PlantForm’s operation with a large-scale manufacturing facility in the Greater Toronto Area, and to grow its staff from 20 to over 100 people. To Don, it’s important for the company to maintain its Canadian base, using Canadian technology and hiring Canadian talent. “I think there’s a real need to develop Canadian-based companies that are producing Canadian products for international markets; it’s a huge opportunity that’s being missed,” he says. Being an entrepreneur didn’t come naturally, but Don has remained persistent in his goals. This is the third company he’s founded, and he’s learned that patience, commitment and flexibility is key. For example, he never thought he’d be sitting in the CEO’s office of a national bank in Dubai trying to raise money, but he just takes it as it comes. “I love the challenge of trying to bring so many different pieces together and move them forward,” he says.